India is building a prototype civilian aircraft through a public-private partnership. Expected time? 5-6 years. Expected cost? Rs. 5000 Crores ($1Billion)! Doesn’t quite fit into our image of “quick & dirty”, does it? What kind of prototyping is involved in developing a jetliner? Joe Sutter, Boeing’s retired chief engineer, has written a beautiful narrative on what it meant to develop a jumbo-jet back the 60s in his book: 747: Creating world’s first jumbo jet and other adventures from a life in aviation. 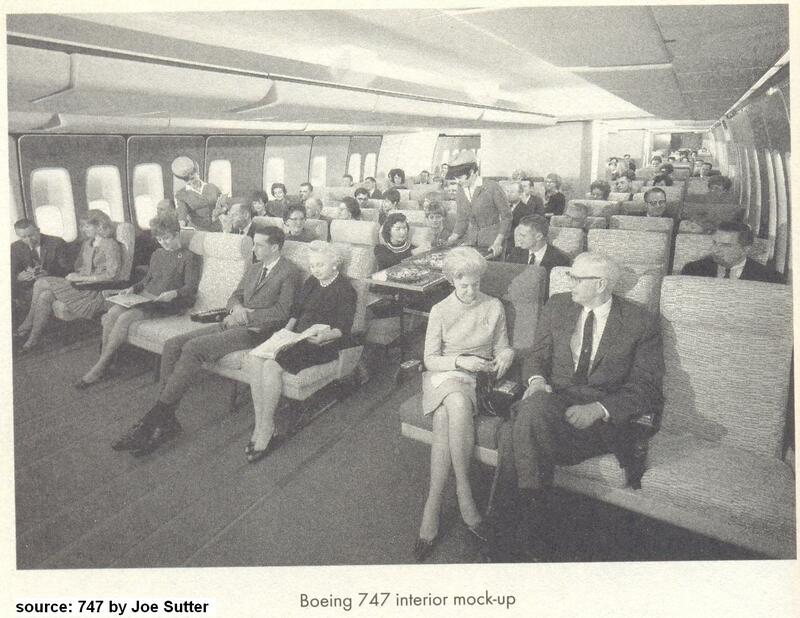 Let’s look at three prototyping stories during 747’s evolution. It all started in August 1965 with a requirement from Boeing’s biggest customer and the most influential international airline then: PanAm. It had already launched two large airlines - Boeing’s 707 and Douglas’s DC-8 – each carrying about 140 passengers. PanAm now wanted a really big jet carrying upwards of 400 passengers at one time. That’s two and a half times the 707 capacity! Knowing PanAm’s chairman Juan Trippe’s bias for “ocean liner paradigm” people knew he is expecting a double-decker jet. Here is how Joe & his team used prototyping to clarify the requirements. First thing was to get the size of the plane clarified. So Joe’s team worked out preliminary parametric studies to generate airplane weight, size and performance figures. They also asked other customers, TWA, British Airways, Japan Airlines and other international carriers what they felt they needed in the way of a big jet. But they didn’t get meaningful response. So Joe & team did something interesting. They proposed three different airplane sizes to the airlines, a 250-seater, a 300-seater, and a 350-seater. They also supplied basic weights, performance parameters and operating economics for each of the options. This approach worked and the results were surprising. Every single airline had chosen the largest size (last option). Boeing engineer Rowland Brown drew hundreds of double-decker drawings. But none were satisfactory to Joe and Milton Heinemann, a payloads engineer. FAA regulations required that it should be possible to evacuate all passengers within 90 seconds, in case of emergencies occurring on the ground. It wasn’t clear how this requirement could be met with a double-decker. Finally, Joe suggested, “Why not put a wide single deck fuselage onto the drawing board by way of comparison?” Row Brown started drawing single-deck cross sections. In Joe’s words: We did rapid studies of the “cut to the chase” variety, with a healthy dose of horse sense factored in. The wide single deck idea indeed made more sense. To give an idea of what the single deck cabin and the double deck cabin would look like, two lumber and plywood mock-ups were built (see picture above for the single deck mock-up). PanAm chairman & his team flew down west to evaluate the options. “Would PanAm agree for the single deck?” It was a tense moment for Joe. After reviewing the mock-ups Trippe told Joe, “You made the right decision”. I complete agree to your views. Prototype is worth large number of pictures. There should be clear difference between what you call a prototype and a working solution. The difference between a prototype and a working model is clear in industrial sectors. Where as in Software development, I find people not being able to differentiate a prototype and a product. Often huge time, effort and money goes into prototyping which is not accepted by the customer. Lot of SW tools are available to prototype SW projects which are not effectively used. Majority of the SW guys use Native platforms to develop a prototype which take huge effort and time. Instead use prototyping tools using which you can play around with the prototype until you get acceptance. I agree that prototyping is an excellent way to proceed. The challenge in prototyping in most firms would be getting the resources (typically done in borrowed time). But in any case, this saves a lot of time during actual development and provides for scope of improvement of the final product and insights into additional experiences well in advance. In a lot of cases, a proto-type makes the decision making for the Mgmt much easier. Mock-ups and there are many low-fidelity prototyping tools available for software. Makes experimentation really rapid and can evoke faster validation/feedback from the users. How does the article relate to the picture above it? Is that one of the mock-ups? Yes, it is the single-decker mock-up.